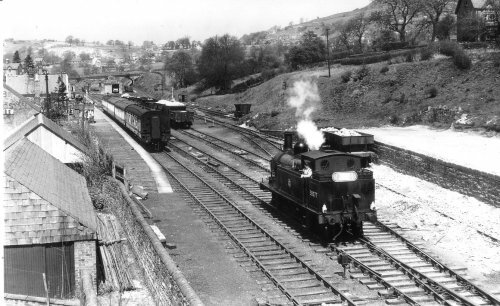 Whilst doing a bit of research with regard to the SLS/MLS "High Peak Railtour" (specifically trying to date it), I came upon the Wirksworth Parish Records via Google, and Hey, Presto! all the information I need! Excellent! The reason for the research is the photo attached below. 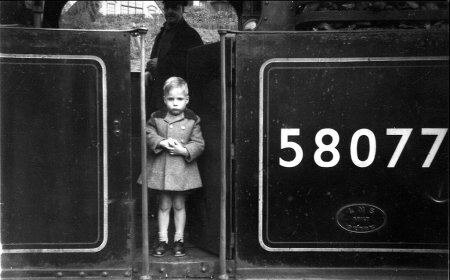 It is a picture of me, aged 4, on the footplate of the engine at Wirksworth (it may have been taken by my father) as we travelled on the tour, but the photo is not dated. Despite my expression, I had a wonderful day, though I only remember parts of it. We lived in Sheffield at the time and I had already been involved with railway tours and visits for two years, my father also being a great railway enthusiast! Four year old Geoff Plumb in the cab of Midland Railway 1P 0-4-4T No. 58077 at Wirksworth station during the SLS/MLS "High Peak Rail Tour", Saturday 25th April 1953. No anoraks in those days! 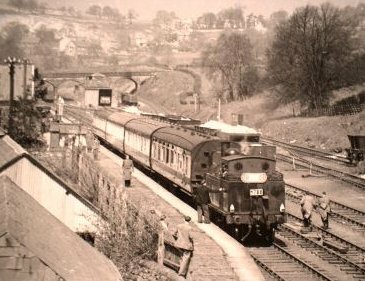 Scenes from Wirksworth station on 25 April 1953, where Midland Rail Tanker number 58077 "runs round its train" of four coaches which is an SLS/MLS High Peak Railtour Special. Late snow lies on the hills, almost in May. SLS/MLS (see the plaque on the rear of the loco) stood for "Stephenson Locomotive Society/Manchester Locomotive Society", who organised this Railtour for enthusiasts in the High Peak Area. 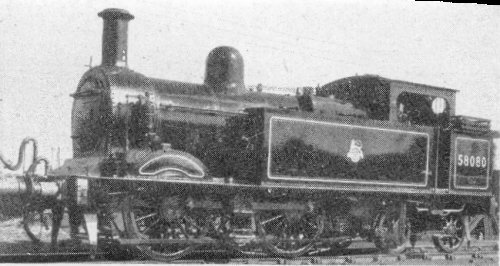 The loco was introduced in 1881 and was a Johnson Midland design. Its class was 1P, British Railways number 58077, and its former LMS number 1397. It was rebuilt with a Belpaire boiler, wheels in 0-4-4 arrangement, tanker body, weight 53 tons 4cwt, steam pressure 150lb, cylinders 18" x 24", tractive effort 14,460lb, driving wheels 5'4". The shed number was 17B (Burton Overseal) on 21 Jan 1953. The lower photo shows an identical sister engine, (recently from the paint shops and looking good), shed number also 17B.